The main option to replace Julen Lopetegui as first team coach of Real Madrid is former player Santiago Solari. Lopetegui‘s future is currently hanging by a thread and it isn’t being ruled out that he doesn’t even take charge against Viktoria Plzen in the Champions League on Tuesday night. In fact, he could even be replaced in the next few hours. The loss of confidence in the former Spain coach is a result of the current crisis in results and the doubts which surround the management staff from many within the club. Although the fact that a Clasico against Barcelona comes so quickly plays into his favour, the hierarchy could be in favour of forcing a reaction as quickly as possible and not compromising their qualification from the Champions League group stage. 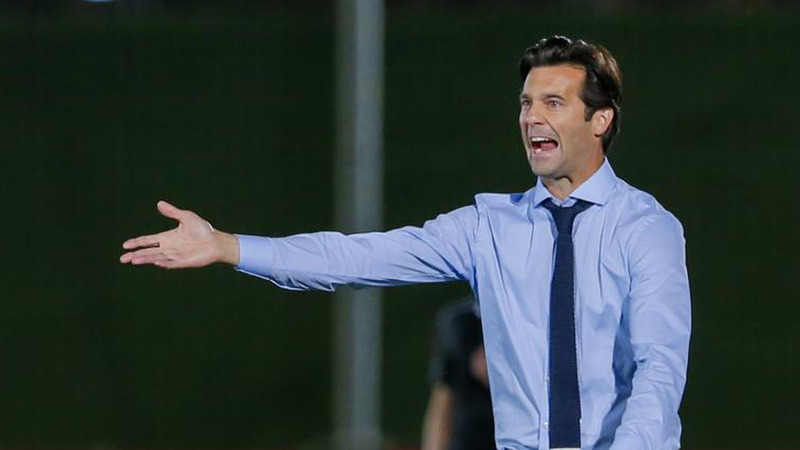 Solari is still coach of the Castilla side, who are second in Group I of Segunda Division B after drawing 1-1 on Sunday against Celta B, and is considered a more viable candidate than other more prestigious alternatives such as Antonio Conteor Laurent Blanc. Despite having some within the club who would be in favour of him, Conte is viewed as a divisive coach whose dressing room management would potentially be problematic. Solari, as happened in 2016 with Zinedine Zidane when he took over fromRafael Benitez, would likely take charge until June and, depending on the results, could be offered the position on a longer term basis or a more high-profile tactician could be sought. The main option in that regard would be Tottenham‘s Mauricio Pochettino, who they already tried to sign last summer.